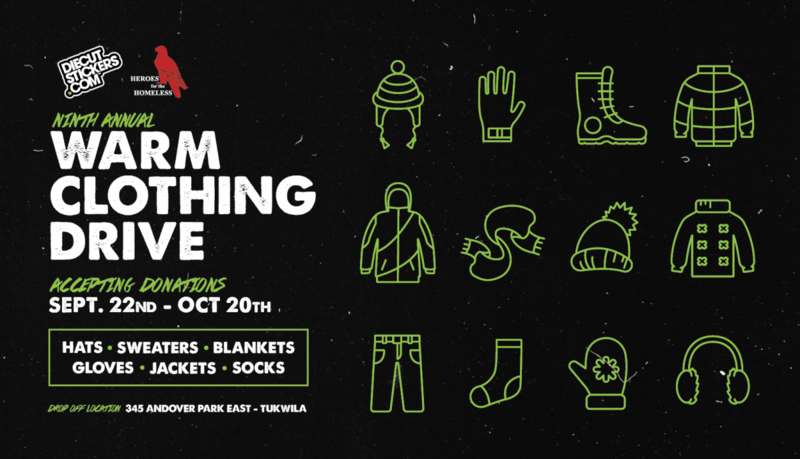 We're back to clean out your closets and help the less fortunate citizens of our region get through the winter. Join us in collecting donations for the next 3 weeks, starting today at our warehouse in Tukwila. See the map below for directions. Drop off items any time between 8:30am and 5pm, Monday through Friday. If you'd like to collect at your office or business and arrange a pickup . Items will be handed out directly at various homeless encampments around the city of Seattle. Huge thanks to and for their support in our efforts. Homelessness is an ongoing struggle in our region and it's up to us to do what we can to assist our neighbors.